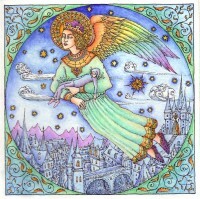 Can You Use the Talisman of a Planet Afflicted in your Natal Chart? "I guess Mercury is so weak (hence malefic) on my natal chart that a positive charged talisman helps to remedy this. I have never been a fan of anything governed by Mercury, so you can imagine how, at first, this talismans energy agitated me during the day and kept me up some nights as it stirred change within. I even took if off a few times but decided to tarry because the changes I needed most in life were ruled by Mercury. I got used to the energy after a few days and didn't experience any adverse or negative effects. Looking back, I couldn't be happier with the advancements." 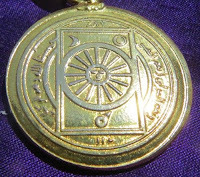 "I have also had some terrific results with Jupiter talismans. I recall when I ordered a +8 Jupiter Lion-head talisman from you, I knew it was going to arrive in the mail soon because there was a huge storm building over [my city]. Sure enough, the talisman arrived a few hours after the storm had dissipated. But I find the Jupiter talisman works differently to, say, the Mercury talisman. Whereas the Mercury talisman effects change from within (my mind and character), the Jupiter talisman tends to attract clients and affluent people to me (and with them, opportunities). Maybe different for others, but this is my own experience with the Jupiter talisman." "Your experience with Mars energy sounds similar to mine with Mercury, but its hard to say. I think each subject needs to experiment for him or herself and note the changes. I haven't dealt with Mars for some time as I find its energy unpredictable and taxing on my emotions - makes me moody and aggressive. The last time I did an invocation using a Solomon Mars Pentacle, the strangest thing happened. While saying the incantation aloud, a puff of sulphuric-like smoke came out of my lungs and mouth lightly filling the room. I had to stop for a minute and walk through the house thinking one of the appliances had caught fire in another room. Didn't use incense that day, so couldn't have been this either. Nope, the sulphuric smoke definitely emerged from within my lungs. How? No idea. That’s some real Harry Potter stuff. Just glad I wasn’t the next case of spontaneous human combustion. That drew the line for me and I haven't dealt with Mars since." And let there be made an image of dreams, which being put under the head of him that sleeps, makes him dream true dreams concerning any thing that he hath formerly deliberated of; and let the figure of that be the figure of a man sleeping in the bosome of an Angel…thou shalt writ upon the breast of the man the name of the effect desired, and in the hand of the Angel the name of the intelligence of [Venus, Hagiel]…Let also the same be made in Libra ascending, Venus being received from Mercury in Gemini in the ninth house, by writing upon it the Angel of Venus. Now this is a bit confusing as to whether Mercury should be in the 9th or Venus in the 9th. If we look at the other elections, however, listed, we note that the Ascendant ruler is always in the 9th. Plus when I checked the Latin critical edition of Agrippa, the Latin was very clear that for this election it is Venus in the 9th. This is basically a house based talisman with the ruler of the 1st, the user's significator, in the 9th of dreams. Agrippa's source is unknown to me or the editor of the critical edition. It is included in a large chapter that has elections from Thabit Ibn Qurra's De Imaginibus but Thabit doesn't have these dream talismans. Dreams, of course, were considered to be very significant in the Renaissance, heir as it was to the wisdom of the ancient Greeks, Romans and other traditional societies. Macrobius in his Commentarii in Somnium Scipionis("Commentary on the Dream of Scipio") Macrobius agrees with moderns that some dreams are internally caused and can reflect anxieties or experiences. But Macrobius like most other ancient authorities also sees dreams as enigmatic or mysterious and potentially prophetic or oracular. 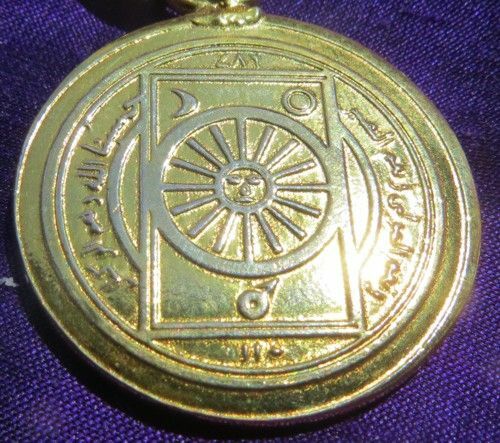 As noted this talisman is traditionally used to produce prophetic dreams, but it also could potentially be used to assist with lucid dreams, dreams in which you are aware you are dreaming. I have a whole page on my website for Hermetic Dreaming that discusses lucid dreaming in a Hermetic context. This page goes into a lot of detail on dreams, visions, lucid dreams and Agrippa's house based dream talismans. A poster on Spiritus Mundi, my discussion group pointed out an upcoming dream election. 11am local time, for Friday July 28, 2017 works for most everyone from Tokyo west, including most of the US, Australia use 10 am local time.